The quagmire that is contemporary Syria is as infinitely complex as it was when it emerged from the ruins of the Ottoman Empire. Its medley of cultures and ethnicities coexisted peaceably under the sultans, but the European powers that inherited the land after World War I were unfamiliar with — and uninterested in protecting — Syria’s unique brand of pluralism. Decades of autocratic rule followed. Today, the warring factions that populate the Syrian battlefield speak to the unraveling of Syria’s once-cohesive society, but the lessons of the Ottoman Empire remain. Moving forward, those lessons may be the best hope for turning a failed state into a nation at once unified and diverse. 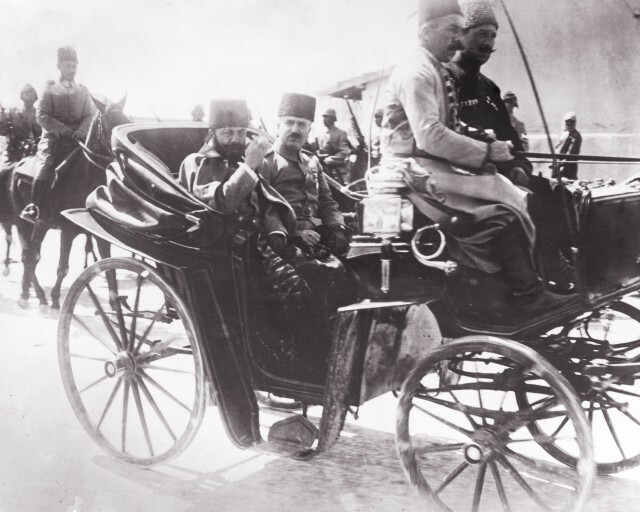 After centuries of Ottoman rule, Syria emerged from World War I in an entirely new form. Under the Ottomans, the area known today as Syria hadn’t been a single entity but rather a collection of “wilayats,” or provinces, that at times included areas of modern-day Lebanon and Israel. Nor was the population homogenous. The wilayats of Ottoman Syria each comprised an array of ethnicities, cultural identifications and economic structures. After 400 years of rule under the Ottomans, certain particularities of the political system became ingrained. In modern-day Syria before the civil war, cities were divided into culturally distinct quarters: one where you would find the Armenians, another populated by Assyrians. I especially remember the Kurdish markets, where vendors would come dressed in their bright colors to sell fruits and vegetables from the countryside. In fact, the way in which Syria was governed reinforced the autonomy of these distinct ethnic and religious communities. The Ottomans enforced a policy of pluralism, intended to appease different nations and quell the rise of nationalist movements, in which Jews, Christians and Muslims were all empowered to assert their own identities and therefore had no need to vie for power. Each religious community, known as a “millet,” had a representative in Istanbul and was allowed to organize its own affairs, including its people’s education, social services and charities and even some of the legal standards by which they lived. The millet controlled all internal disputes such as marriage, divorce, inheritance, and the distribution and collection of taxes. The residue of this community-specific system remained in modern Syria; for example, everyone knew you went to the Armenian quarter to get your silver. After World War I, however, the European powers divided up the land once ruled by the defeated Ottoman Empire. To be sure, the Europeans had been gradually infiltrating the Middle East for years, enjoying the tax breaks and security ensured by capitulation contracts between their governments and the Ottomans. But after the war, European powers negotiated clear partition lines defining their spheres of influence in the region. The resulting, secret agreement, named for the British and French diplomats who negotiated it, Mark Sykes and Francois Georges-Picot, was signed in spring of 1916. The borders drawn within Sykes-Picot didn’t respect the history of the region or the political concerns of the groups within it. Instead, the agreement focused on divvying up the Middle East between the British and the French. In fact, the way in which this agreement broke up the Middle East makes it relevant to a number of post-WWI conflicts. France was determined to remain a power in the Middle East, and through the French Mandate it ultimately controlled southeastern Turkey, northern Iraq, Syria and Lebanon. The population in what had been Greater Syria was artificially divided and at times displaced. Under the French Mandate, life in Syria changed dramatically. The autonomy that groups had enjoyed under the Ottomans greatly diminished as the French centralized the government and restricted newspapers and political activity. In addition, France pursued a divide-and-rule policy under which some minority groups enjoyed newfound privilege and others watched their freedoms disappear. The French favored minorities, particularly the Christian Maronites, to protect themelves from the Sunni majority. Even though Syria claimed independence in 1944, the new government adopted the autocratic bent of the French officials it had displaced, and the new rulers marginalized minorities such as the Shiites, Kurds, Assyrians, Druze and Armenians. The invasive Syrian intelligence services, the Mukhabarat, became a prominent fact of life for the Syrian people, for whom the country’s independence brought little relief. Now, five years into Syria’s civil war, some of the same historical challenges persist in the region. Syria remains an arena in which world powers battle for influence and an array of religious and ethnic communities make their homes. Prior to the war, Syrians’ varied cultural heritage was a source of great national pride. Today, that diversity has become a source of violence. When Syria’s political structure transforms at the end of the war, these groups will vie for power within the new system, which, like the former French colonial rule, may well be characterized by centralization and oppression. But there is another option. The new Syrian government could instead take its cues from its pre-World War I rulers, empowering various communities through autonomy and possibly even partition. Even President Bashar al Assad embodied some of the Ottoman respect for minority groups. Under al Assad’s rule, the arbitrary division of ethnic and religious groups into modern states was balanced by his consideration for the needs of these communities. I saw this firsthand in Damascus, where I befriended some U.N. peacekeepers who escorted Druze students from Syria to Israel and back every summer, just so that they could visit their families across the border. The small Jewish community that remained in Syria was also allowed to visit family in Israel. Going forward, a new Syria must embrace the same pragmatism. Its leaders will have to accommodate the varied ethnic and religious groups whose presence there long predates the rise of the modern state and whose claim to the land draws on cultural heritage over and above legal right. 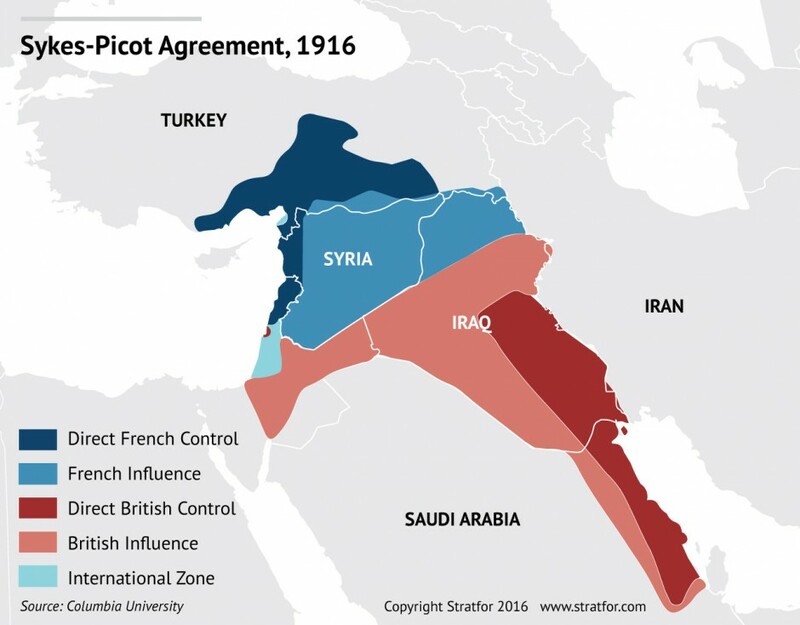 The borders drawn by the Sykes-Picot agreement a century ago may well have outlived their usefulness — if ever they were useful — and rethinking them in light of deeper social and political realities could be the beginning of an effective, lasting resolution to Syria’s war. Send us your thoughts on this report.